Constable Mike Keen, whose wife has just walked out on him, is in no mood for trouble. So it’s a double calamity when high-living Reginald Noyes, struck by a car at Two Oaks Crossroads, dies in hospital, and the most perfunctory investigation (which is all Keen has any desire to make) indicates that his death was premeditated murder. 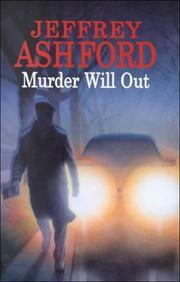 Fans of the sunny Mallorcan mysteries Ashford writes as Roderic Jeffries (An Enigmatic Disappearance, above, etc.) will be happy to know he can put the screws more tightly to Keen than he’d ever dream to doing to Inspector Alvarez.